"Honestly? 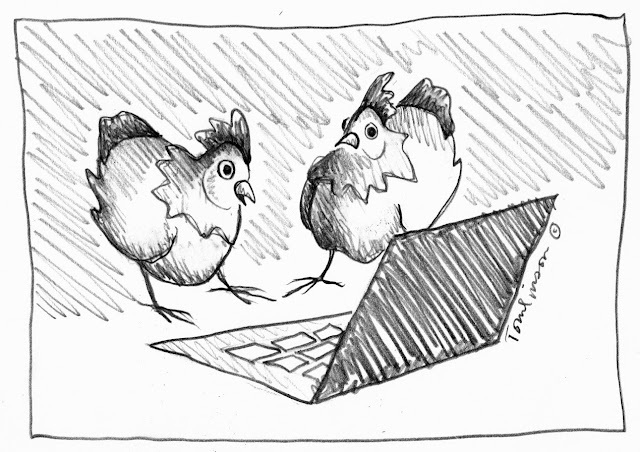 I'm not really sure what it is, but I think it's their version of clucking." Glad to see the girls have joined twitter, too. I got a good chuckle out of that. And as always, out of their cartoons. If there was a Cluckker, I might participate. Jodi--I think they'll have some fun over there. NellJean--Well, there are some cluckkers there now!